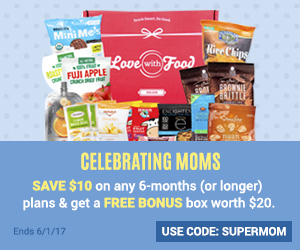 Wow I can’t believe this is my 6th Fandom of the Month Club box! I love this subscription and I look forward to seeing the fandom every month. If you don’t already know Fandom of the Month Club is a subscription jewelry club. For $13 a month, you will receive a shipment of fandom inspired jewelry with a surprise theme. 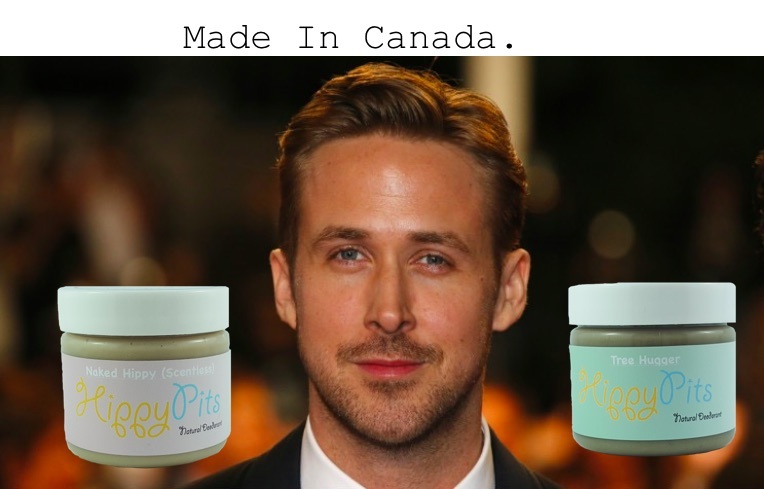 Each shipment has a promised value of over $30. This month’s theme was Super Mario! We didn’t own a Nintendo growing up and though I’ve played the game a few times this isn’t my favourite fandom. 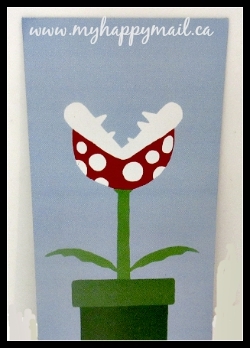 I do think that for any Mario fan this was a great box! 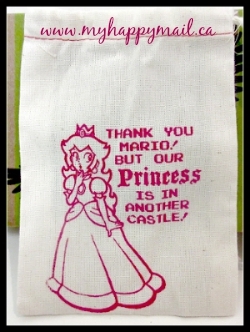 This month we got a cute princess peach stash bag to hold all the Mario goodies. 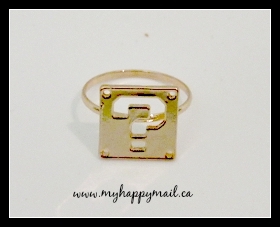 This gold tone ring is cute! I think it’s my favourite piece this month. It fits me pretty well, it’s not adjustable but probably could be worn as a pinky or midi ring for those with larger fingers. Do you guys remember these controllers? The replica necklace is a fun piece. 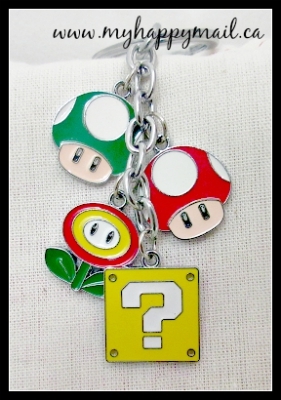 This keyring suits the Mario theme perfectly. The charms on this piece are so vibrant, definitely will cheer me up on the drab winter days coming up. I’m not sure what these earrings are made out of, but they are very lightweight and are cute and fun. Starting this month and for the next few months we will be getting a custom magnet in every box. I like this addition to the box and I hope they keep it for a while. 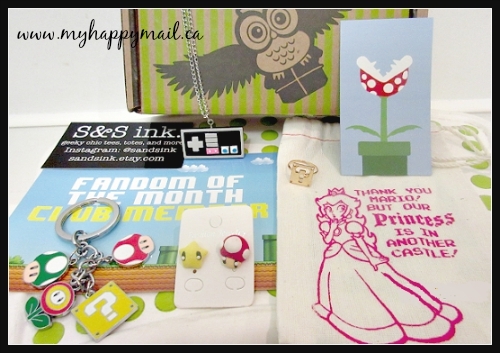 Even though this month’s fandom wasn’t really for me, there are many fans of Super Mario who would love this box! The items in this box weren’t subtle as the previous boxes but it’s all part of the surprise each month, sometimes you’ll get one that isn’t for you. There are some exciting things coming up in the next few months for this subscription though. November marks their first anniversary and they have something special planned for that month, with a box with $50 worth of goodies in it! If you’re interested in Fandom of the month club you can click HERE to subscribe or get more details. 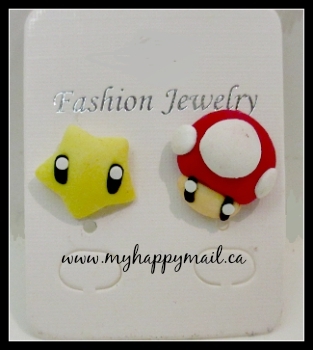 These Star & Mushroom Stud Earrings are too cute! OH this box is super fun!! Talk about bringing back childhood memories!! 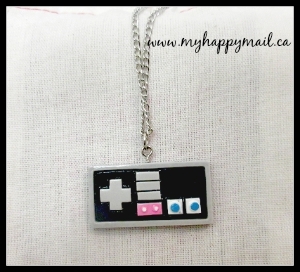 <3 I love that controller necklace! !